Following Good Food. Real Results.™? 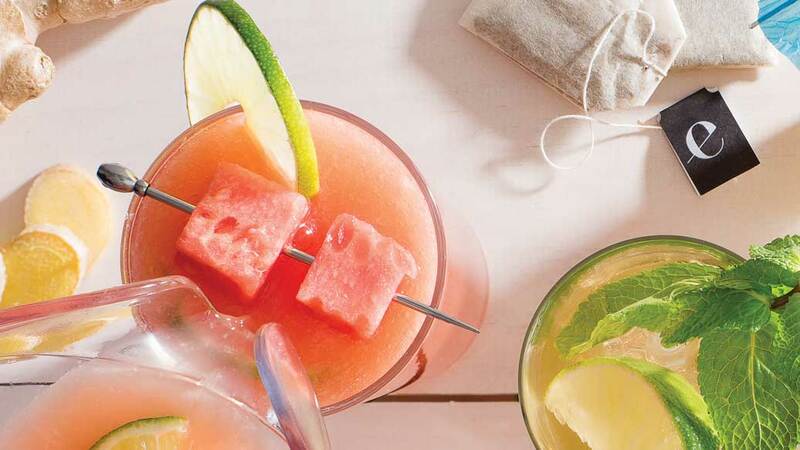 Swap a cocktail for dessert to stay on track. In blender, purée 6 C (1.5 L) watermelon with cold tea; strain into a large pitcher. 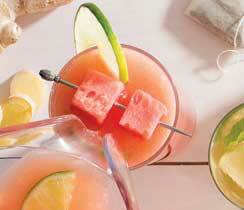 Stir in remaining watermelon cubes, wine, orange juice, lemon, and lime. Refrigerate at least 2 hours or up to 6 hours before serving. Pour into glasses and top with ice cubes. Cool tip: Spice it up with sliced jalapeños. 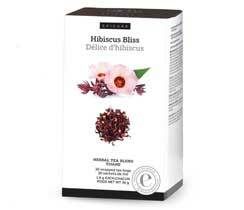 Make it a mocktail with cooled steeped Hibiscus Bliss Tea instead of wine.